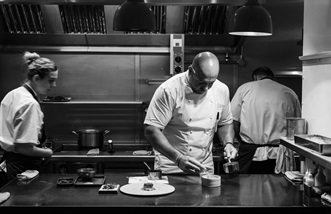 It’s not in the most beautiful of locations, but that’s exactly what Sat Bains wanted for his eponymous restaurant, which has held two Michelin stars since 2011. However, once you’ve driven up to the entrance and explored the kitchen garden, walked around the somewhat labyrinthine building and taken a look at the unusual, striking décor, it soon becomes clear that you’re somewhere very special. Restaurant Sat Bains with Rooms is a no-nonsense descriptive title – it’s a restaurant, headed up by Sat Bains, with eight different rooms to stay in. Originally the Hotel des Clos, it changed name in 2002 when Sat took the head chef role and became a partner in the business. It won a Michelin star in 2003, then a second in 2011. There are only two tasting menus on offer – one seven courses, the other ten – which feature dishes unlike anything you’ll find in another restaurant. Dish descriptions leave diners guessing; the first course is named ‘Introduction – NG7 2SA’ after the restaurant’s postcode, and others only allude to the main ingredients on the plate. Each dish is described through a pattern of coloured dots, which show how many salty, sweet, sour, bitter or umami flavours will be present. There are several dining rooms and a conservatory, which seat up to forty guests, as well as a chef’s table and a four-person bench in the pastry kitchen which can be hired out privately and allow visitors to enjoy unique dishes prepared in front of them by the chefs. The restaurant’s development kitchen, Nucleus, can also be booked by diners wanting to experience dishes yet to make it onto the main menu. 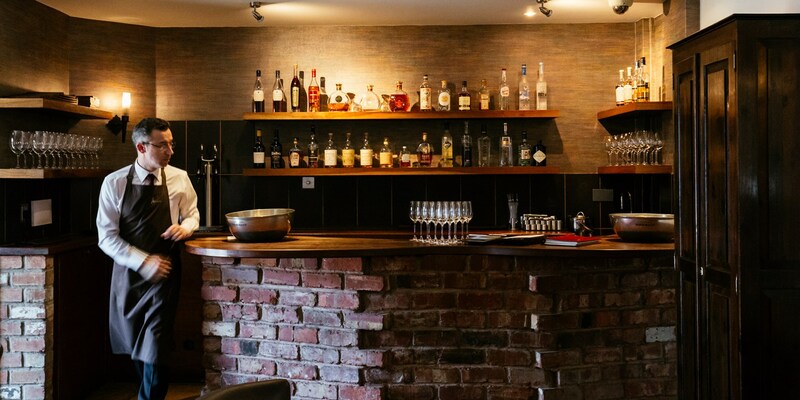 Completely redesigned in 2015, it is a small, intimate building that allows keen foodies an insight into Sat and head chef John Freeman’s minds. 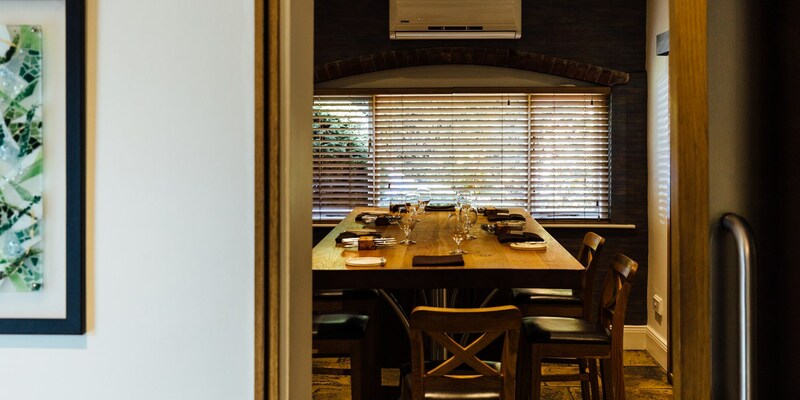 Wine is also incredibly important at Restaurant Sat Bains, with a dedicated sommelier team sourcing the best bottles from around the world to pair perfectly with the intricate dishes on the tasting menu. The coloured dots from the menu make their way onto the wine list, too, which helps customers get a better idea of how a particular variety will taste. The restaurant is closed on Sundays, Mondays and Tuesdays. While most people visit for dinner, lunch can also be booked in some of the rooms – ring ahead to check availability. 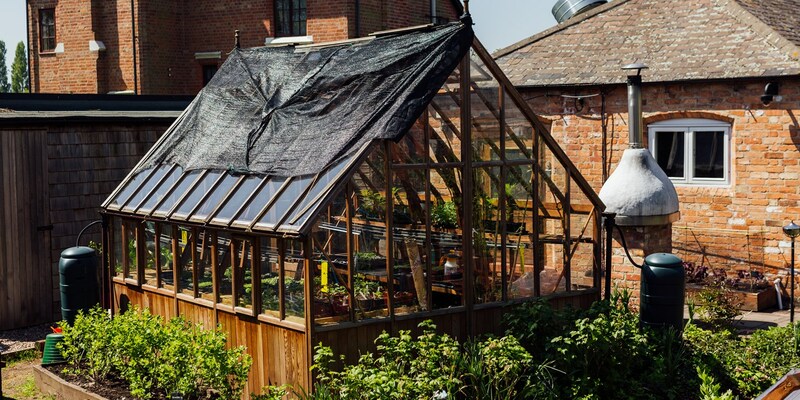 The kitchen garden is where many of the herbs and specialist ingredients that appear on the menu come from, including oyster leaf and oca, a Peruvian tuber. All food waste (except very large bones) at the restaurant is processed in a state-of-the-art composter, which uses enzymes and heat to convert it into high-quality compost for the garden. It was the appeal of studying in a class full of girls that convinced Sat Bains to take up a catering course. Born in 1971 and raised in Derby, cooking was never much of an interest during his childhood, although his mother was a keen home cook and always prepared homely vegetarian Sikh dishes. It wasn’t until he passed his catering course and started working in restaurants that Sat realised he wanted to be a chef.